Each metasomatic formation contains particular metasomatic facies (metasomatic mineral associations). 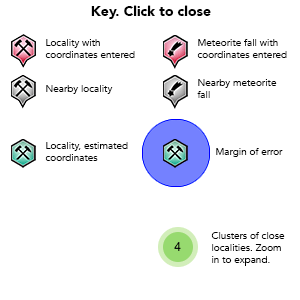 All formations occur in different geological settings, but they are closely related with each other in origin, time and space, showing various distinct zones, and may constitute a special metasomatic series. Tin mineralization is chiefly related to the evolution of post-magmatic metasomatism. 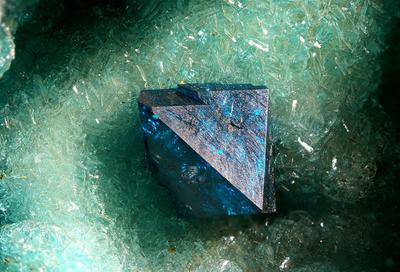 During magmatic crystallization, tin exists mainly in biotite, probably in the isomorphous form. Occasionally, fine-grained cassiterite may be found as an accessory mineral in biotite. 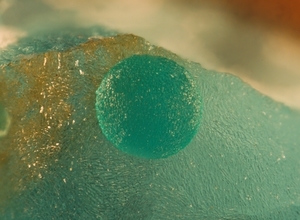 In the skarn stage, most of the tin is concentrated in the garnet, forming Sn-bearing andradite. The inferred indium reserve in the Gejiu Sn deposit is over 4000 t.
The Gejiu mining area is the world's largest tin ore field. Reference: Chen, J., Halls, C., and Stanley, C.J. (1992): Chinese Journal of Geochemistry 11(2), 140-155. Reference: Yi Li and Lairen Lai (1997): Mineral Resources and Geology 11(5). Liu, K.S., and Lee, H.C. (1957): On the formation and characteristics of mineralization of the Kochiu tin deposits, Yunnan. Acta Geologica Sinica 36(4). Bojun Cai and Chengxing Wang (1975): Geology and Prospecting 11(5), 19-24, 34 (in Chinese). Zude Jin (1981): Discussion on formation of earthy hematite-type tin deposits in the Gejiu ore field. Geology and Prospecting 17(1), 32-34. Zhifen Wang (1983): Some problems on the mineralization of tin deposits in Gejiu, Yunnan. Acta Geologica Sinica 57(2), 154-163. Baoqin Zhao (1985): Arsendescloizite discovered for the first time in China. Acta Mineralogica Sinica 5(3), 282-284. Shangtao Tang (1985): Spatial distribution patterns and ore-controlling characteristics of the Gejiu tin deposits. Geology and Prospecting 21(12), 17-21. Chengdian Pen (1986): New discoveries in geological prospecting work of the Gejiu tin district and the techniques employed. Mineral Deposits 5(3), 37-48 (in Chinese with English abstract). Wu Qinsheng, Xu Junzhen, and Yang Zhi (1986): A study of Sr isotopic characteristics and ore-search indicators of Gejiu Sn-bearing granites. Geochemistry 5(2), 158-170. Yiming Zhao and Daxin Li (1987): Metasomatic phenomena in the granite contact zones of the Gejiu tin deposit, Yunnan Province, China. Acta Geoscientia Sinica 9(2), 237-252. Fusheng Dai (1988): Typomorphic characteristics of pyrite in Gejiu Sn-bearing polymetallic ore deposit. Geology and Prospecting 24(12), 22-27. Yu, C., Tang, Y., Shi, P., and Deng, B. (1988): The Dynamic System of Endogenic Ore Formation in Gejiu Tin polymetallic Ore Region, Yunnan, China. China University of Geosciences Press (Wuhan, China), 348 pp. Yixiong Qian (1990): A study on micro-morphology, chemical composition and formation conditions of axinite in Gejiu. Journal of Mineralogy and Petrology 11(3), 1-5. Fusheng Dai (1990): The evolution of two diagenetic series of the Gejiu tin ore district. Acta Petrologica et Mineralogica 9(3), 224-233 (in Chinese with English abstract). Fusheng Dai (1990): Origin, evolution and ore-controlling characteristics of the structural system in western Gejiu ore field. 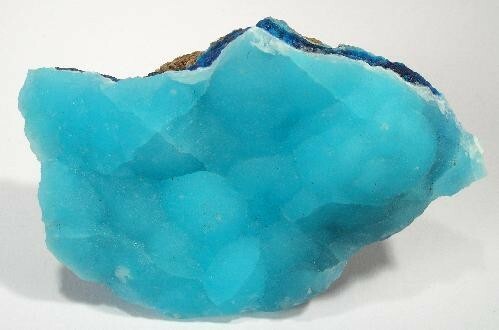 Mineral Resources and Geology 10(2), 35-42. Zude Jin (1991): Geology and Prospecting 27(1), 19-20. Fusheng Dai and Chengyu Ying (1991): Some genetic mineralogical characteristics of galena from the Gejiu Sn mining district and their significance in prospecting. Acta Mineralogica Sinica 11(2), 172-178 (in Chinese with English abstract). Jinchu Zhu, Xinguang Wang, and Chenyu Ying (1991): Existing forms of tin in different rocks and metallogenetic model of Gejiu tin field. Contributions to Geology and Mineral Resources Research 7(2), 11-17 (in Chinese with English abstract). Heming Gao (1994): A preliminary study on cosalite, polybasite and zinc-, silver-, antimony-bearing tetrahedrite in the Gejiu ore field, Yunnan. 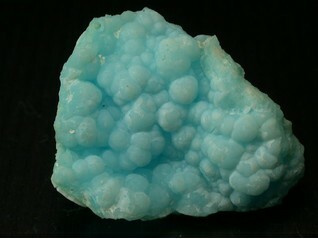 Acta Mineralogica Sinica 14(4), 357-360. 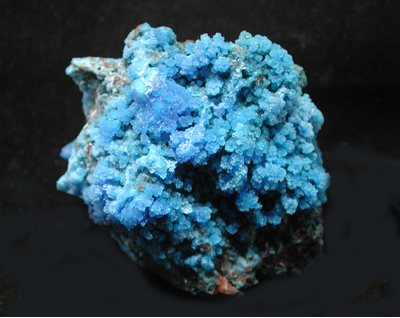 Yi Li and Lairen Lai (1997): Study of mimetite group minerals in China. Mineral Resources and Geology 11(5). Yiming Zhao and Daxin Li (1999): Water-bearing Cuspidine in the Gejiu Tin Deposit, Yunnan Province: Its Discovery and Mineralogical Characteristics. Acta Petrologica et Mineralogica [Yanshikuang Wuxue Zazhi] 18(1), 65-73. Yiming Zhao and Daxin Li (2003): Amphiboles in skarn deposits of China. Mineral Deposits 22(4), 345-359 (in Chinese with English abstract). Qin Dexian, Tan Shucheng, Fan Zhuguo, Li Yingshu, Chen Aibing, Li Lianju, Liu Guangliang, Dang Yutao, Tong Xiang, Wu Junde, and Li Yuxin (2004): Geotectonic evolution and tin-polymetallic metallogenesis in Gejiu-Dachang area. 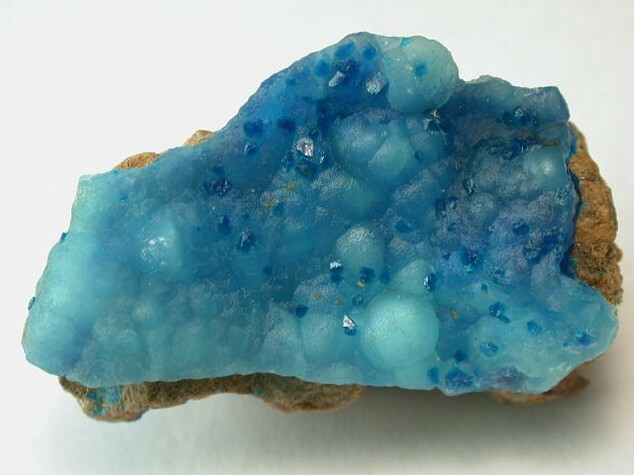 Acta Mineralogica Sinica 24(2), 117-123. Li Yingshu, Qin Dexian, Dang Yutao, Xue Chuandong, Tan Shucheng, and Hong Tuo (2006): Mineralizations in Basalts of the Gejiu Tin Deposit in Yunnan Province. Journal of Jilin University (Earth Science Edition) 36(3), 326-335. Qin Dexian, Li Yingshu, Tan Shucheng, Chen Aibing, Xue Chuandong, Fan Zhuguo, Dang Yutao, Tong Xiang, Wu Junde, Li Yuxin, and Wang Haiyun (2006): Metallogenic ages of Gejiu tin ore deposit in Yunnan Province. Chinese Journal of Geology 41(1), 122-132 (in Chinese with English abstract). Shucheng Tan, Dexian Qin, Xiaoqing Zhao, Jun Li, Jisheng Xia, Shunde Jiang, Yinliang Cui, and Xueshu Zhang (2006): Submarine basic volcano-sedimentary Sn-Cu-Zn-(Au) deposit metallogenic series of the Middle-Later Indo-Chinese epoch in Gejiu tin deposit. Geology and Prospecting 42(1), 43-50. Yi Ma, Yingshu Li, Dexian Qin, Yongfeng Yan, and Tuo Hong (2006): Research on genesis of bedded skarn in Gejiu. Journal of Kunming University of Science and Technology (Science and Technology Edition) 31(4), 6-9. Huan Zhang, Taiyi Luo, Henmin Gao, Deyun Ma, and Yan Tao (2007): Helium, lead and sulfur isotope geochemistry of the Gejiu Sn-polymetallic ore deposit and the sources of ore-forming materials. Chinese Journal of Geochemistry 26(4), 439-445. Jiandong Zhang, Shenglin Peng, Bin Yang, Ming Liu, and Li Wang (2008): Interpretation of unusual remote sensing information and analysis of ore-searching prospecting in the Gejiu mining district. Geology and Prospecting 44(2), 87-91. Runxing Jia, Weixuan Fang, and Ruizhong Hu (2010): Mineral Geochemical Compositions of Tourmalines and Their Significance in the Gejiu Tin Polymetallic Deposits, Yunnan, China. Acta Geologica Sinica (English Edition) 84(1), 155-166. Jinghui Rong, Jianping Chen, and Beichuan Shang (2012): Three-dimensional prediction of blind orebodies in Gejiu, Yunnan Province based on the ore-search model. Geology and Exploration 48(1), 191-198. Li, Y., Tao, Y., Zhu, F., Liao, M., Xiong, F., & Deng, X. (2015). Distribution and existing state of indium in the Gejiu Tin Polymetallic deposit, Yunnan Province, SW China. Chinese Journal of Geochemistry, 34(4), 469-483.